Many of you have been asking me for years, "when is Russ' book coming out?". Well, it is finally here. After more than 2 decades of research and work, The English Connection is finally a reality. This book is the most in depth work to date regarding the material of war purchased by the Confederacy from Great Britain. While most collectors are aware of the obvious items like Enfield pattern rifle muskets, the Confederacy imported everything from guns, edged weapons and ammunition to uniforms, buttons, cloth and naval china. Practically anything that was necessary to keep an army in the field (or a navy on the ocean) was obtained by the Confederacy from England, and this book covers nearly all of it. 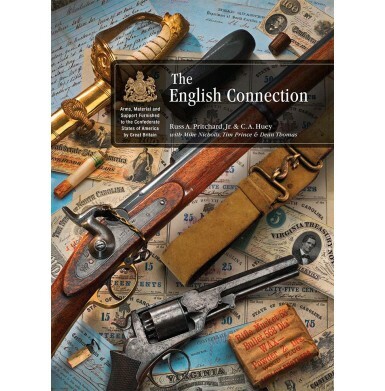 Chapters include in depth studies of the long arms, handguns and edged weapons obtained from English sources, as well as chapters on leather goods (including not only accouterments but horse equipment as well), uniforms and related items, ammunition, and even china. 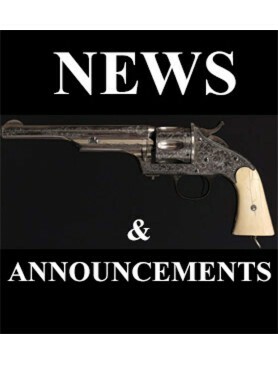 Additional informational chapters include a directory of the major players involved in the international trade between England and the Confederacy, with everything from the gun makers and various English suppliers, to the businessmen on both sides of the ocean and the Confederate agents and government officials involved with the procurement of the items. An in depth chapter on gun marks provides new information that has not previously been published, and a significant number of photos to help prospective arms buyers be better prepared to inspect and validate the originality of the arms they are considering purchasing. Post war dispositions of the Confederate purchased items are also explored. The book contains hundreds of quality color photographs and large amount of previously unpublished primary source material, including many pages from the McRae Papers. This exhaustive text includes 10 chapters, 4 appendices and over 600 pages! It is a must for any student of the American Civil War. This is a book you must have in your library, and may well be the most important book on Civil War arms and related items to be published in this decade. Books are back in stock at a new lower price! Note that shipping costs listed on the site are for delivery within the Continental US Only - International shipping will run between $40 and $60 US due to weight.